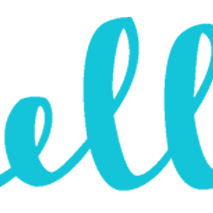 Welcome to this brush lettering guide! Here I will share my tips for mastering a new skill in brush lettering. With any new skill, it doesn't come easily and you will need to practice lots to get comfortable using the brush pens. 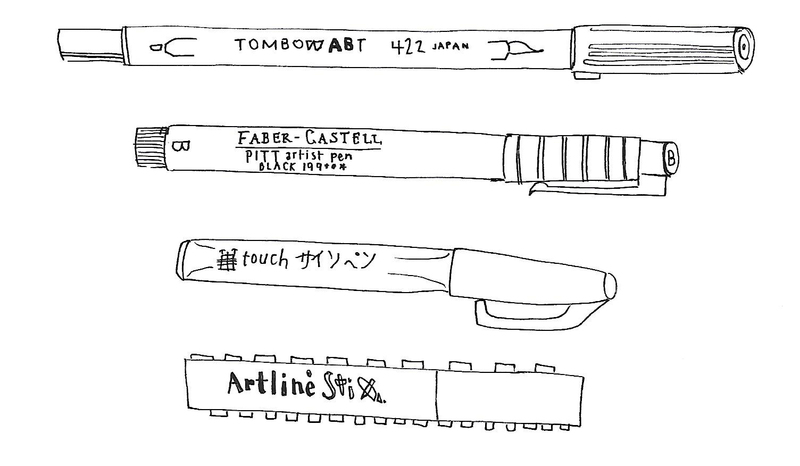 There are so many different brush pens that you could use but my favourites are Tombow Dual Brush, Faber Castell Pitt Artist Brush, Pentel Sign Brush, Artline Stix Brush and Zig Cocoiro Brush. 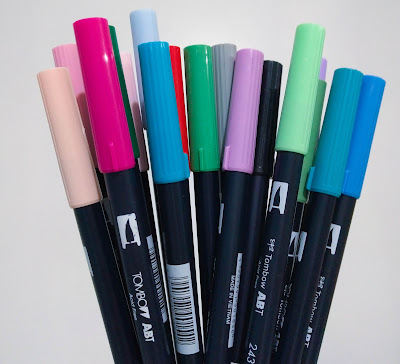 You can find some or all of these at most art stores but my favourite place to buy them is cultpens.com (Free Delivery on orders over £10!) With the brush pens there are varying width. The Tombow and Artline are good for big writing and the Pentel Sign and Zig Cocoiro are great for smaller writing like in your planners. 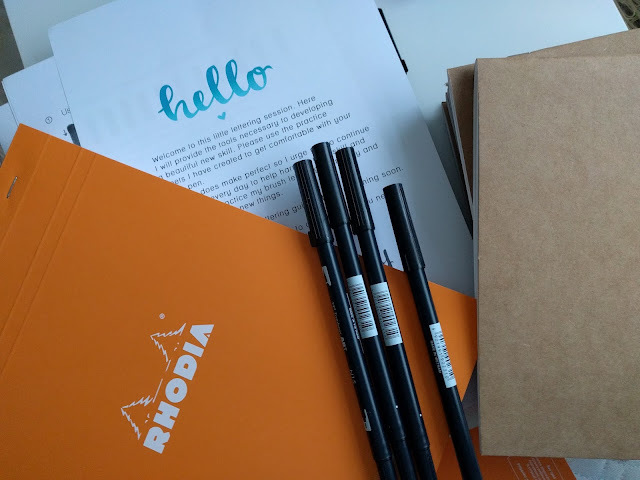 You can use any paper to practice on but I have found that the Rhodia Paper Pads are excellent quality and have minimal ghosting with any of the pens above and with fountain pens. They are my favourite papers to use for practicing. When the pen glides on the paper, it makes life so much easier! 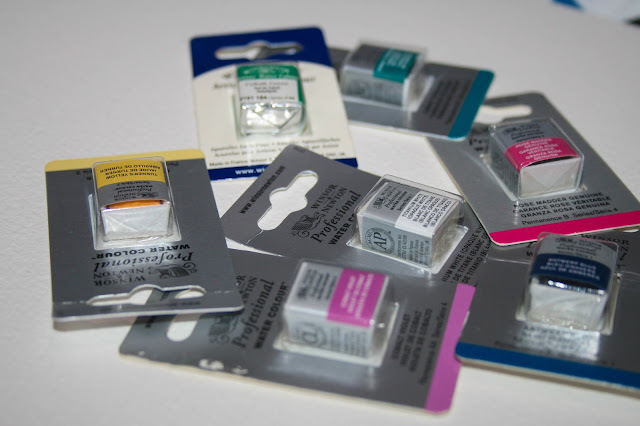 They come in lots of different sizes and are available in dot grid, grid, plain and lined. I would also recommend getting your hands on some tracing paper. There are so many resources out there that you could use to master lettering. Replication is a great way to learn if you're struggling with letter forms. By tracing over them, you commit them to memory and it will be easier for you practice doing them. Using tracing paper also lets you reuse any of the guides or pages that you're using. Now that we've got supplies down, let us get on to the actual lettering. The basic idea is that brush lettering is made up of varying thickness of lines in all of your letters. To get a thicker line, you will need to hold your pen at a lower angle (closer to the paper) and apply a heavier pressure. If you want a thinner line, you will need to increase the angle and decrease the pen pressure. Typically, thicker lines are used for all the downstrokes and thin lines are use for all the upstrokes. There are so many way to create letters. You have to remember that everyone writes differently and holds the pen differently so please don't be discouraged if you don't get it the first time around or if yours looks different to someone elses. These tips and guidelines are here to help you to develop your own style in brush lettering. I created this small guide which will soon be a full guide. You can find some practice sheets to download and print to help you to practice some drills and master the strokes. 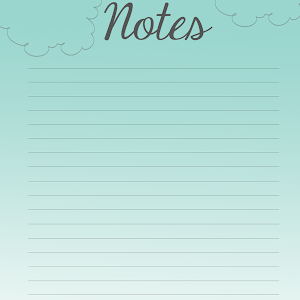 More sheets will be available for this guide soon. It is a work in progress! Please click here to download a PDF of the initial practice sheets. Happy lettering and as always, please feel free to contact me if you need any help with lettering. Instagram is literally my favourite social media. There's so many really talented people and it's like a small tribe of wonderfully creative people supporting each other in their creative business ventures. I've come across so many Girl Bosses who are rocking everything and doing what they love. One such lady is Wita from DoodleDo. 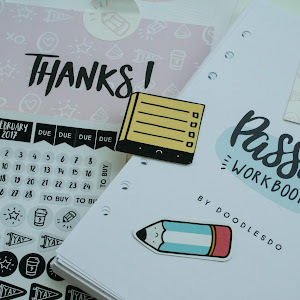 I've been following her on Design Is Yay where she posts beautifully bright stationery filled photos most with her own design. 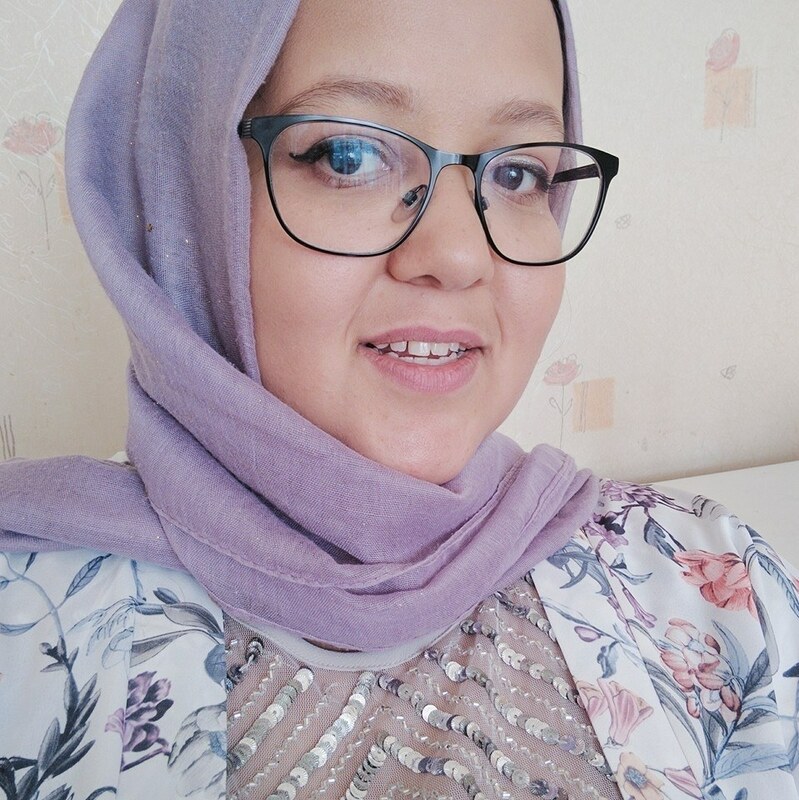 This Passion Workbook has become something she created out of a passion and is helping other people to discover their passions. 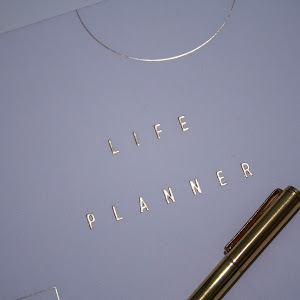 If you've ever been into a kikki.K you will know that they create products which are designed to help you to live your best life. 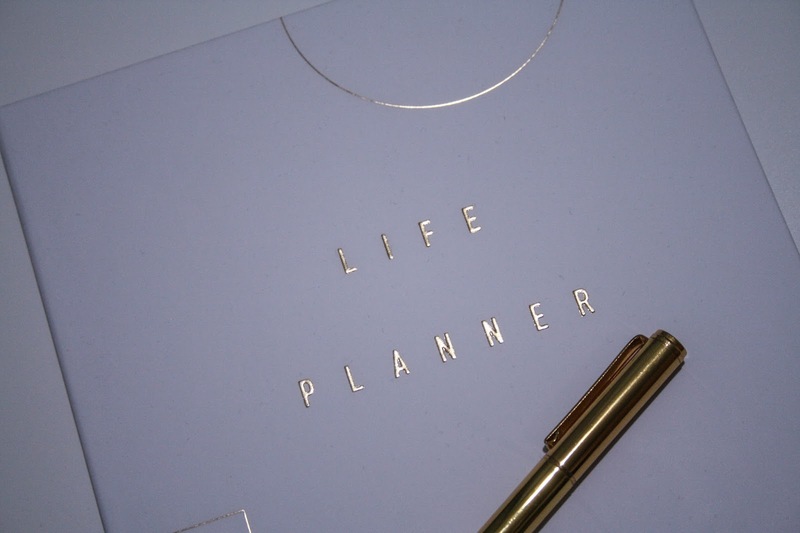 I have a lot of these product and have found them really useful in determining where I am in my life and where I plan to be. Over Christmas I picked up this Life Planner because I thought that it would help me to organise my 2017 so that it was the most successful year. 2016 was a bit of an experimenting year. I didn't feel like any of the setups really worked I tried so many different things. It was really fun but there's also no continuity, which I'm not sure I like. When I look back on the things I did, 2016 will be all over the place or non existent in some places. I love watercolours. I used to be really scared of them and I think that it's such a hard medium to use properly. Recently, I've been trying to get better at using them and I'm definitely feeling more comfortable, but let's not try to create masterpieces yet. 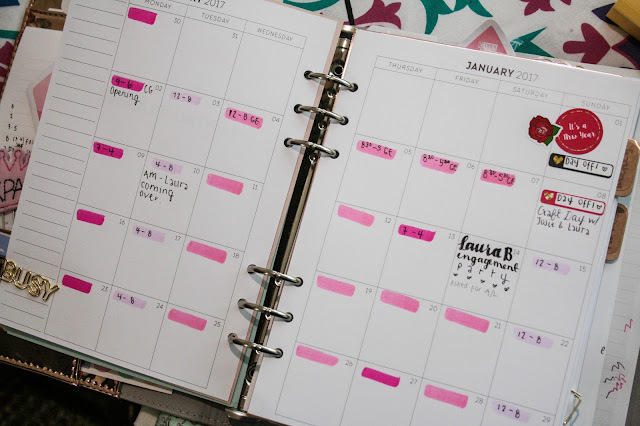 What better way to start off this New Year blog revamp than with my 2017 Planner Set Up. 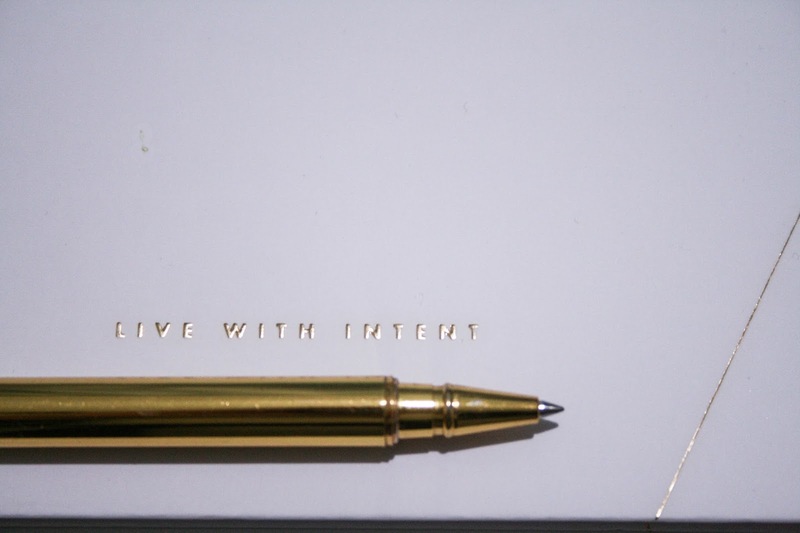 Last year, I was using an A5 kikki.K Compendium with a Leuchtturm1917 inside it which I made into a Bullet Journal. I'll do a flip through of this on another post. 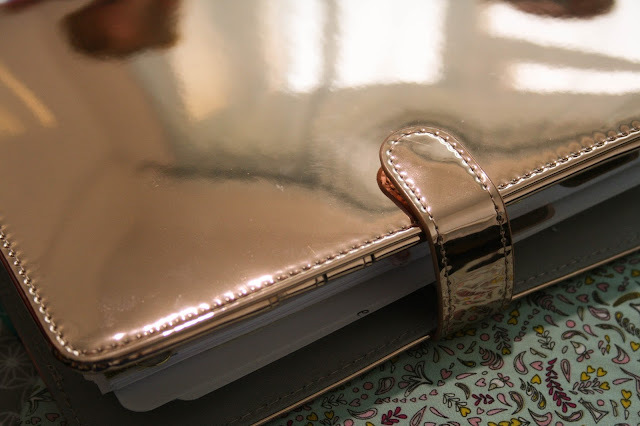 This year I've decided to move back into A5 rings and I'm using a super shiny Copper kikki.K Planner. It is a beauty! 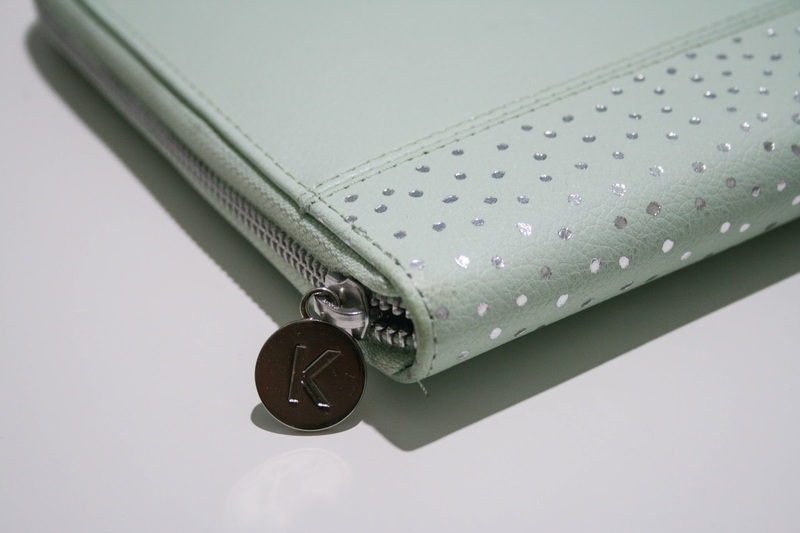 I'm using Organise with Katie inserts as I've been waiting for her to offer Printed ones. 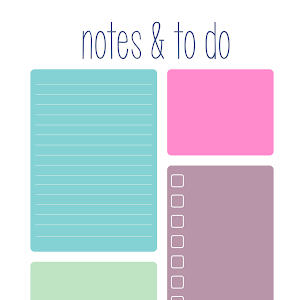 I have previously used her Printables and I just really love the design of them. This year I am fully prepared with her Printed inserts. I bought her monthly and weekly ones. For as long as I live, and for as long as Cult Pens lives (which I hope will be forever), they will forever be my go to pen supplier. Their customer service is incomparable and they have such a huge collection of pens that you seldom need to go anywhere else. This little haul features lots of black refills for my Pilot Coleto because the black ones seem to go so quickly but they write soo nicely. There's also a pencil refill and a baby pink refill. The baby pink one is so much better than the other pink that they stock. I also ordered two new drawing pens. I usually use the Uni-pin fine liners but I thought I would give these Artline ones a go. They were on a 'Buy one, get one free' offer so how could I resist! And lastly, I bought a Pilot Petit3. 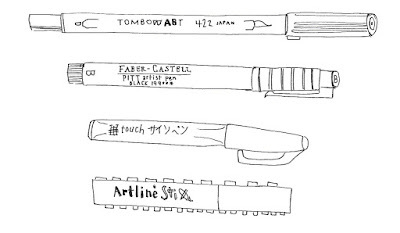 Pilot Petit come in three different kinds, a fountain pen, a sign pen and a fude/brush pen. This one is the brush pen and I've fallen in love with it! They are so cute and really are petite! I decided to go for a pink one. Can you tell I love pink? There is really good line variation with it and the nib doesn't feel as stiff as other brush pens I've used. The flow is smoooth and really nice! Ugh! Look at that line variation! And you can see just how small it is. Such a cute size for keeping in your bag. I may possibly be buying all of these!